OnLine ToolWorks Corporation offers an award winning job scheduling software solutions that helps you best leverage your IT investment. With SmartBatch job scheduling, OnLine ToolWorks is providing its customers with the ability to greatly enhance productivity. 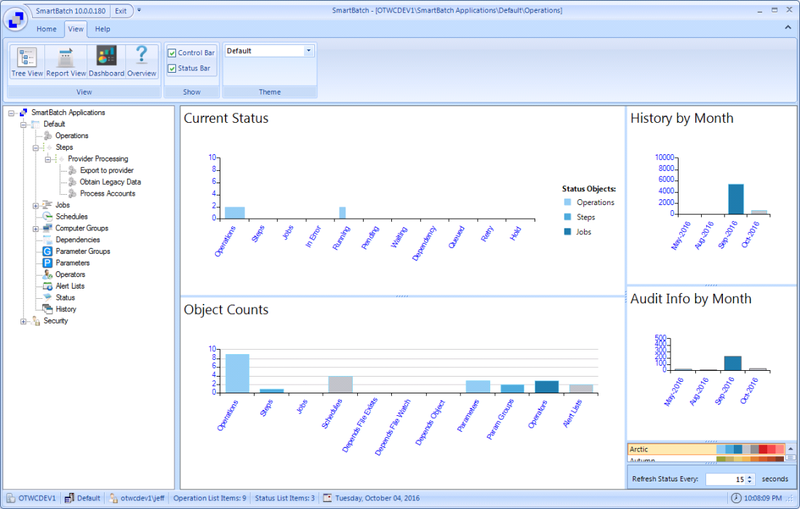 SmartBatch is an integrated comprehensive solution built on the .NET Framework. With today's compressed budgets and ongoing pressure to deliver more with less resources, SmartBatch is providing the right solution for your applications automation needs. SmartBatch provides you with a Windows solution that fits your budget while providing all the features you need for your departmental or enterprise needs. Get the product you want and the support you need. OnLine ToolWorks provides fast turn around time on your support questions via phone, email or web session. SmartBatch advanced job scheduling and event automation allows you to easily setup your tasks into repeatable and manageable work flows using Operations, Steps, Jobs, Dependencies, Schedules, Parameters, Notification and much more. Companies in every industry around the global have found SmartBatch to be their choice for Windows application automation. Review the Solutions page to get the product details. A new Microsoft Office style UI. Improved performance for all list displays (200% to 400%). 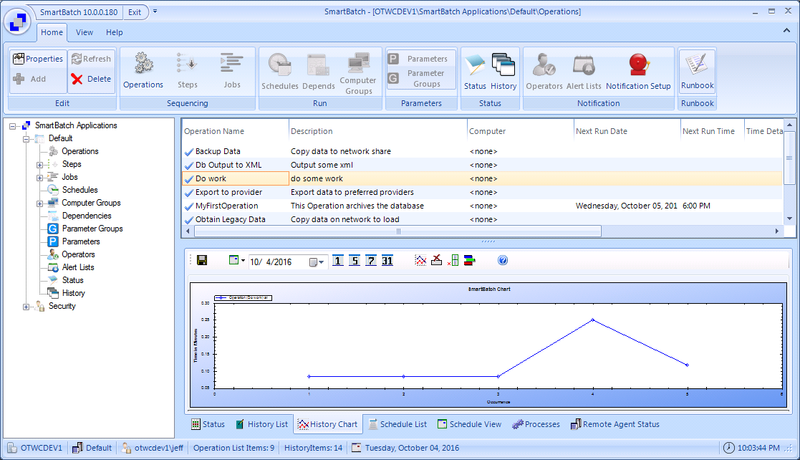 A Dashboard View that provides a grapical display of important activity in the SmartBatch environment. Smaller UI changes that make SmartBatch even easier to use. As with every release we look at customer feedback on reported product issues and update SmartBatch based on your input. Several major changes have been implemented in the latest release of SmartBatch. Four Editions of SmartBatch are now Available including the Free Edition! SmartBatch 2009 is now available in four editions to meet every budget and range of capabilities you require. For the most sophisticated environments wanting the easiest to use product with the most functionality. 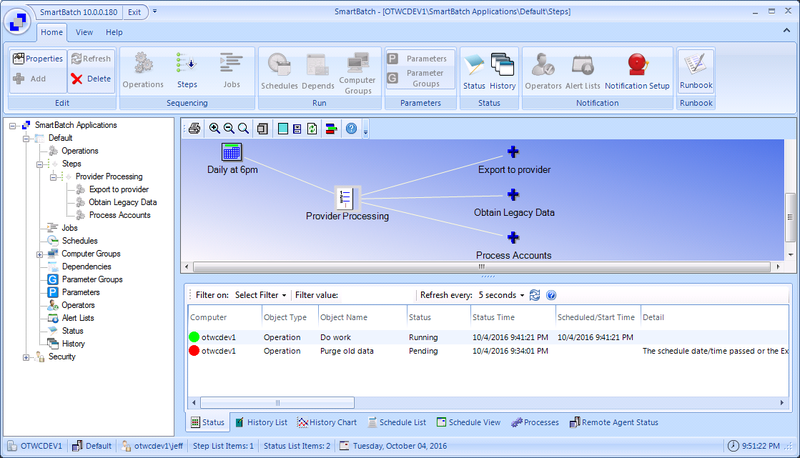 Distribute processing amongst any number of computers with SmartBatch Remote Agents. 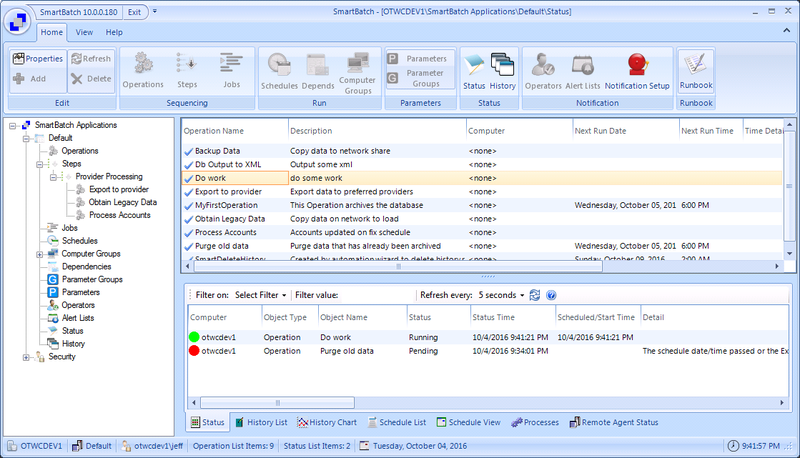 For sophisticated environments that are primarily scheduling on one computer or manage several environments individually with multple Standard Edition installs. A low cost way to automate environments with the need to process up to 50 Operations (an Operation is any program or script you want to automate). For environments that only need to automate up to 20 Operations. Now manage your scripts and source code for your jobs directly from the SmartBatch user interface. 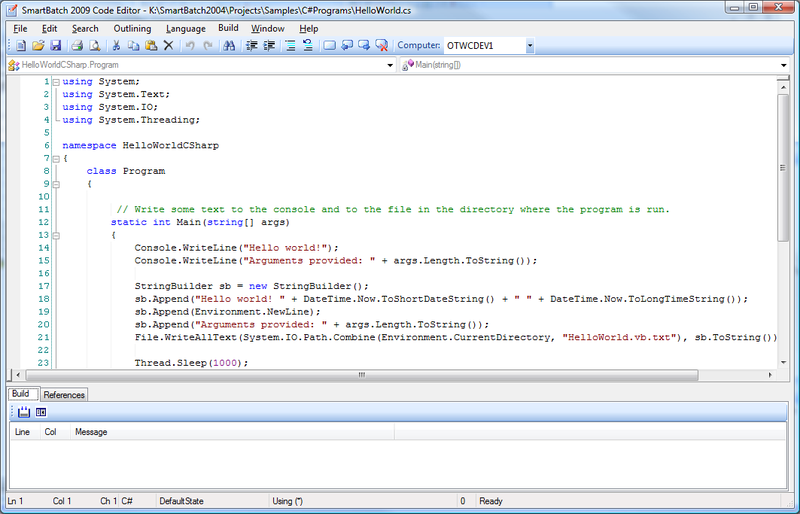 All popular scripting languages are supported. Additional support if provided for C# and VB.NET with IntelliSence and the ability to compile without the need for Visual Studio. The SmartBatch Web Administrator has been enhanced providing authorized end users with the ability to schedule jobs and view output. Redmond Magazine Job Scheduling Product Review of SmartBatch.